Diving is expensive. Good equipment is expensive. The best equipment is very expensive. How do you solve that? I like to do night dives and even during the day, a powerful light source is necessary here in Sweden. The best you can get in terms of power is something with a 50W HID as the light source but this will cost you about SEK 14.000 (€1400). 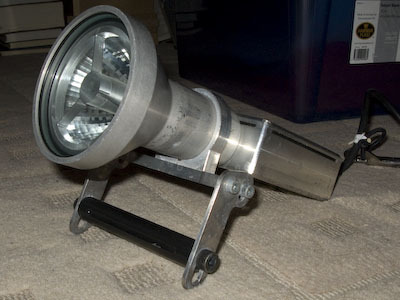 I decided to build my own light using HID technology. My first version had the ballast inside the canister but the canister got very long, so the next version I moved the ballast to the light head. It's a little bulky on land but in water there are no problems. One other reason for moving the ballast was that due to some unknown reasons the light would sometimes not turn on under water. The result was quite good. 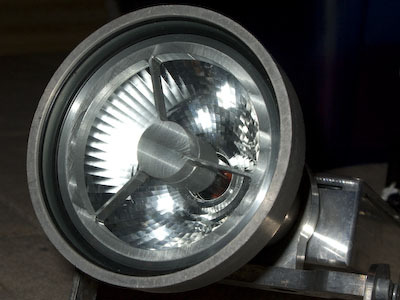 The light output from this 35W HID is almost comparable with a 50W HID due to the larger reflector. About 45.000 lux was measured at a distance of one meter. Burn time is almost 3 hrs. The box behind contains the ballast and starter. The glass are sealed using two o-rings. The first will compress due to water pressure and the second compressed by the edge of the glass. This o-ring also holds the glass in place. 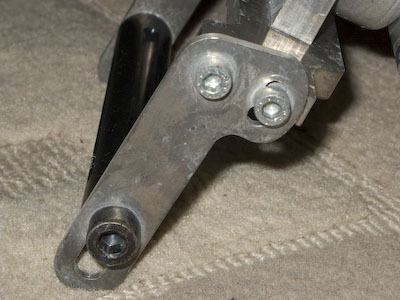 The handle are adjustable, both the angle end the space in-between. 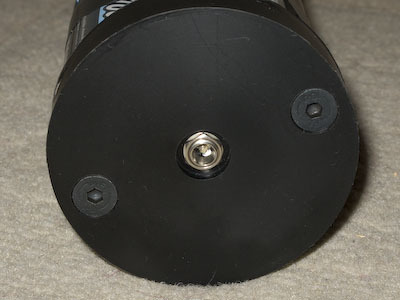 The top of the canister with the switch protection. This is the inside of the canister. 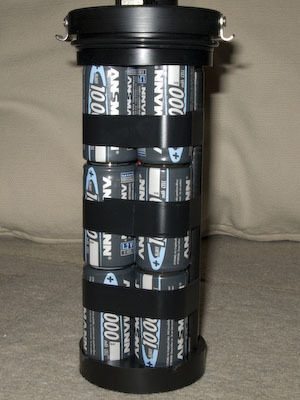 There are 12 NiMh D-sized (R20) batteries. Close-up of the lid. 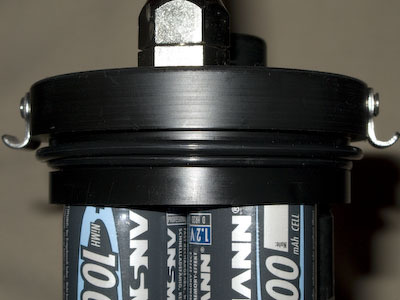 Two o-rings seal the canister. The bottom of the battery pack. 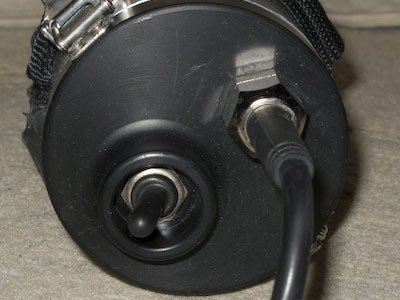 This connector is for charging.